Better than NEW, this 2 bedroom end unit townhome is ready for your maintenance-free lifestyle! Main level features the kitchen complete with a pantry & breakfast bar. Living room open to dining area, plus a powder room round out the main level. Enjoy your morning coffee or BBQ on the private patio! Upstairs includes master with a private bath, ceiling fan and walk in closet. Additional bedroom with tons of storage and another full bathroom with linen closet. Second floor laundry room with washer and dryer included. All new flooring and paint throughout! The two-car attached garage with a full-size driveway offers plenty of parking. 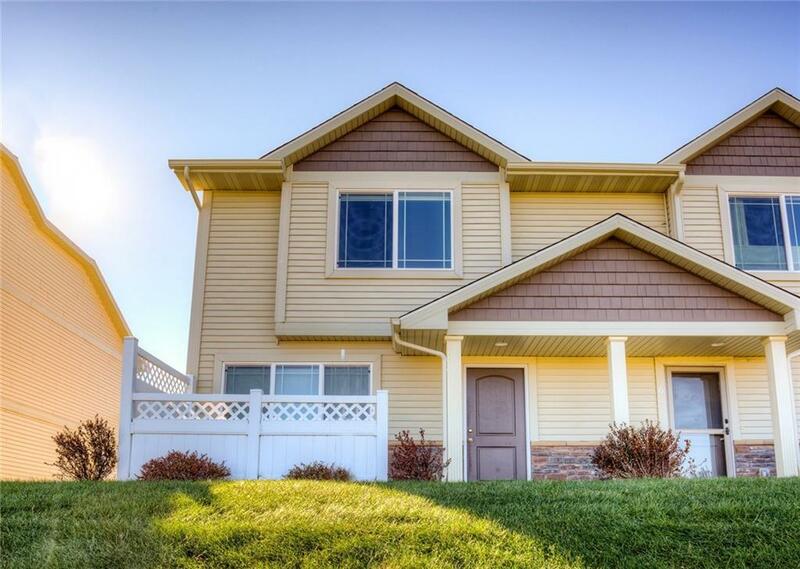 Great location on Indianola's North side with quick access to bike trail, shopping, and restaurants.